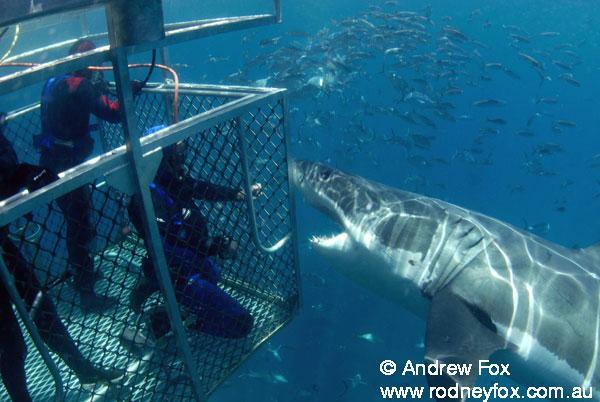 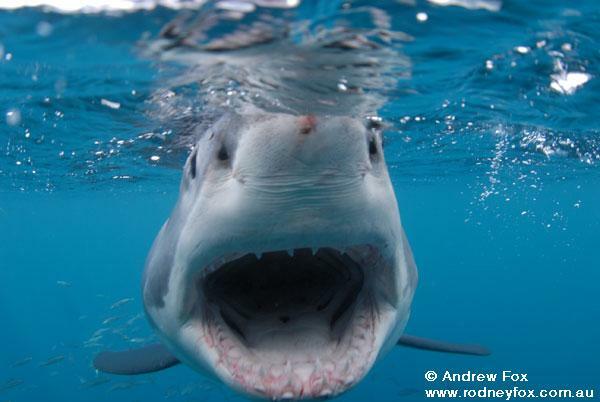 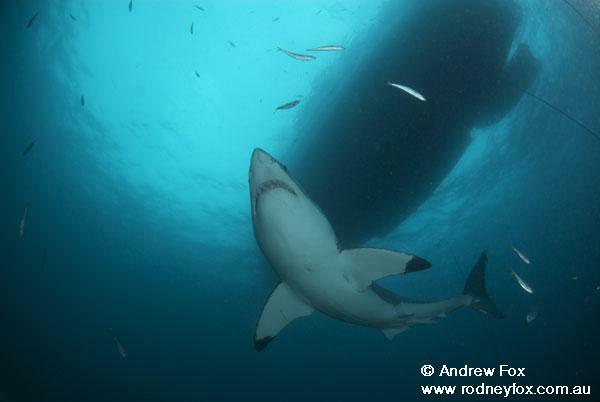 Great White Shark attack victim, Rodney Fox offers shark expeditions in Shark diving off of North Neptune Islands which is located in South Australia off of Port Lincoln. 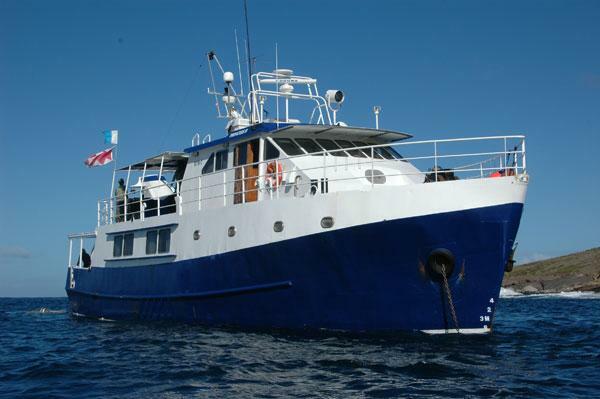 You’ll board the world’s premier Great White Shark diving vessel “The Princess II” which is unmatched in comfort, space and her remarkable facilities. 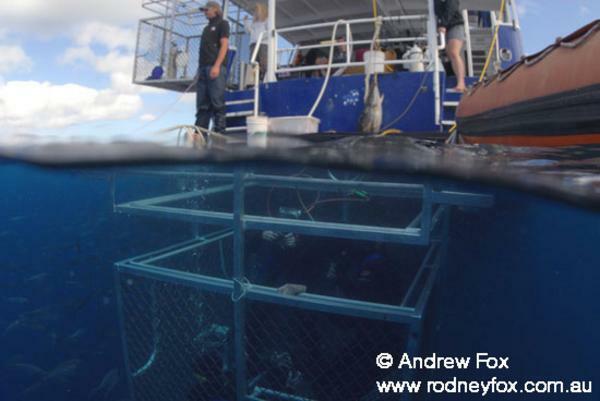 The remarkable water temperature ranges from 13-22°C (57-72°F), the water visibility can be up to 20m close in and the average depth wider around the islands is 30-50m. 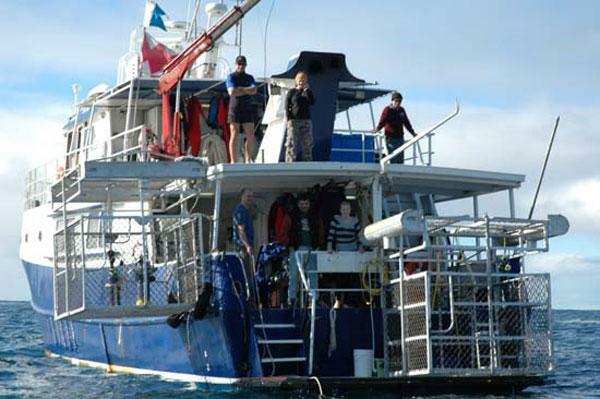 Day dive trips include adventures like diving into “Crystal’s Crack,” a deep crevasse full of underwater wonders, and squeeze into “Guy’s Knob” to explore a the marine life even at the ocean floor. 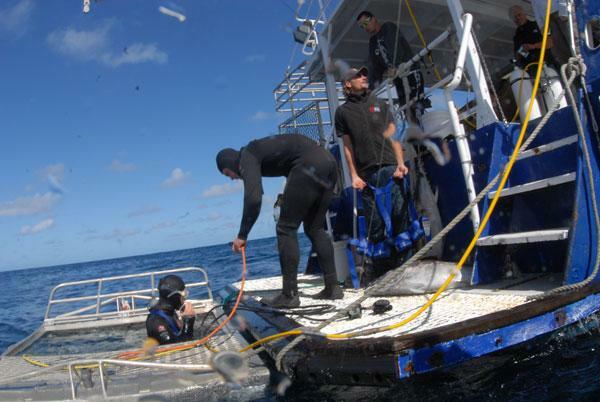 Safety is key when diving to see sharks and the Princess’ Crew are highly skilled professionals who will provide undeniably the best Great White observation experience possible. 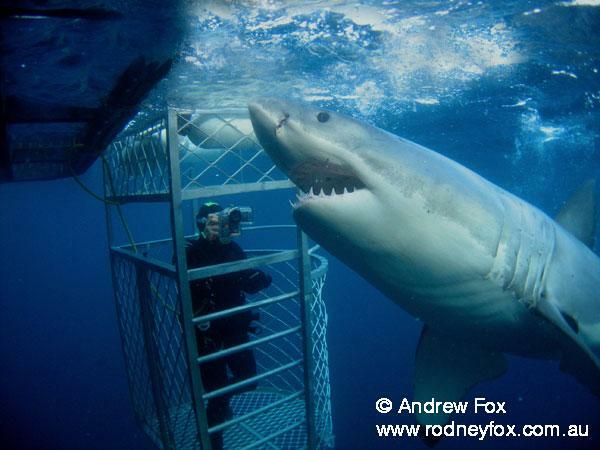 Regular cage diving in surface floating cages is offered for non-certified divers, and the submersible shark cage that can lower divers safely down to the ocean floor is available to Fox Expedition members. 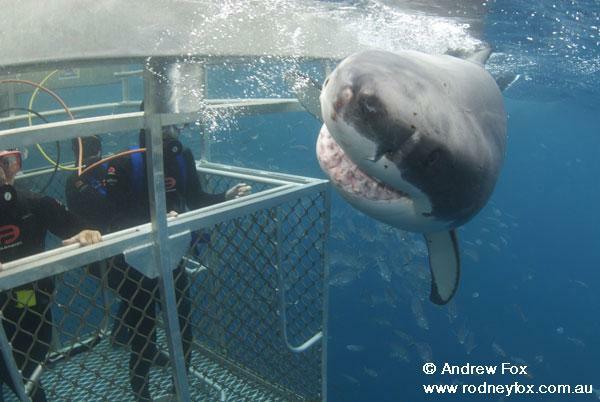 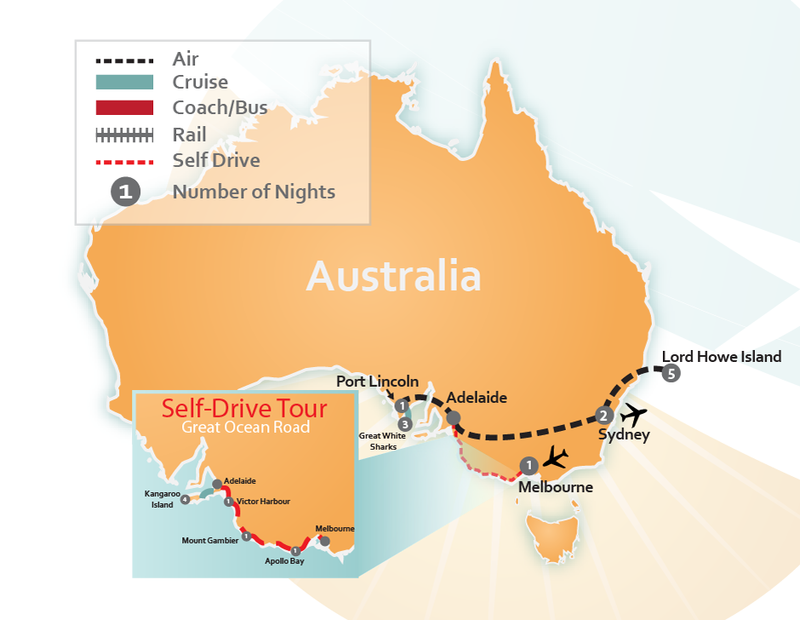 Book your Australian Diving Vacation Package by choosing a premade itinerary below, or CLICK HERE to have one of our Travel Agent Experts design a Tailor Made Vacation Package to include diving with the Great White Sharks in Australia.